Rather than letting your child’s brain fry in front of a television or on an electronic device, get their minds really working but participating in the many mentally-stimulating and fun educational activities in Texas. These activities, geared toward children with hands-on and interactive ways to learn, make children love learning. Here are the 10 best educational activities for children in the state. The Austin Aquarium aims to “connect children and families to the planet, ranging from our rainforests and deserts to the exotic species of the ocean.” As such, it is the perfect place to bring your child. Spend a day learning about the oceans by getting up close and personal with a wide array of underwater life. The Children’s Museum of Houston is widely regarded as one of the best children’s museums in the country. The museum hosts a wide variety of themed days, including Home School Day and Explore Abilities Day. Standing exhibits include the challenge course, coding hangout, and an ecostation. The Gladys Porter Zoo in Brownsville, Texas, is one of the most popular zoos in the country, with 400,000 annual visitors. Educational opportunities include their Saturday Morning Safari program, Summer Safari Camps, Starlight Safari Sleepover, and more. The Moody Gardens in Galveston, Texas, is “a public, non-profit educational destination utilizing nature in the advancement of rehabilitation, conservation, recreation and research.” The attraction has a number of educational activities, separated by “pyramids.” Stop by the aquarium pyramid, the rainforest pyramid, or the discovery museum, among others. Normally we wouldn’t include two spots from the same city on a list, but when you have the incredible Houston Space Center in the state, you have to make an exception. Bring your child by the Houston Space Center to learn all about space, NASA, and more. The Young Chef’s Academy in Frisco, Texas, offers kids the opportunity to get hands-on with their food. Participants will learn how to use math and critical thinking in making their own dishes, and will learn valuable life skills. This girl 💞 happy birthday Skylar!! The River Legacy Living Science Center in Arlington, Texas, is a 12,000-square-foot nature center. According to their website, “our key initiative is to educate the next generation of environmental stewards.” To those ends, they offer interactive exhibits, terrariums, and public programming. The Dallas Heritage Village recreates 19th century Dallas with costumed storytellers, period architecture, and historic interpreters. The purpose of the village is to show children what life was like for an average Dallas citizen in the old days. 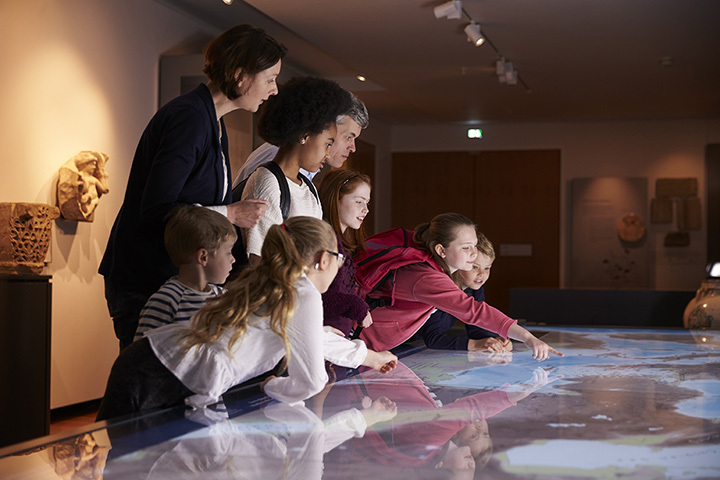 The Texas Civil War Museum sits on 15,000 square-feet of exhibits, and is “the largest Civil War museum west of the Mississippi River.” Slightly older kids will marvel at the various exhibits, showcases, and historic displays. Every Texas child should see a rodeo at least once in their life. With the Mesquite Rodeo in nearby, kids can learn all about their Texas heritage and the history of rodeo while witnessing it firsthand. They have regularly scheduled events. Check their website for specific information and ticket prices.